Time to mix it up with some great courses!!! The new GTGP 2019 Tour Schedule is essentially finalized. We head up to Architects Golf Club early on. That should be a treat. We visit Bluestone Country Club, which was known as Meadowlands when we were there last, in 2015. The Club is including a few extras in our package to ensure the “full Bluestone experience,” so we hope as many as possible can attend this Monday event. And we return to many popular favorites. There are the annual visits to the Turtle, Broad Run, and Wyncote, plus return visits to Bella Vista, Renault, and the Claw. And adding in Scotland Run. Have we been there before? Well, not in recent memory anyway. I’m feeling the Event Coordinators selected many tried and true venues this year. That’s keeping the mileage under control while again with Architects, Bluestone, Scotland Run, … : there’s a lot to like. The GTGP Tour Championship, a season-ending 36-hole stroke play event, will be at Hickory Valley (Presidential) and RiverWinds. The duration of the GTGP season schedule is set at 23 to 25 regular season events, running from April to September. GTGP will travel to a yet to be determined site for the 2019 GTGP Match Play Event. The matches consist of a 2-player better ball competition on Saturday afternoon and individual net singles matches on Sunday morning. Qualifying provisions for this event will be the same as last year, with the team being selected from the Top players on the final GTGP Money List (number of players to be determined), and each of the players with the lowest ten Adjusted Net and lowest ten Adjusted Gross scores who have not already qualified. Members must play in a minimum of ten events to qualify. We are planning how the in-season match play events will work out. As a player this should be seamless for you and you will play no differently than you would in a regular stroke play event. In fact you must do that as there will be no match play concessions or gimmes. Every event counts as a stroke play event too. Always putt out. The software will figure match play results based on your stroke play scorecard. Still, most of you will want to keep track of your match play game as you go. Effective since the 2018 season we use multiple tee selection in an effort to make the league more enjoyable for everyone. Handicap adjustments for tee selection will be “Adjust Fewest Players” which is different than what we did 2018. Be assured no matter how this its done the end results are the same and fair. 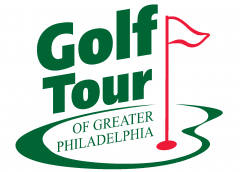 The membership fee of $100 remains unchanged since 2005 and include a USGA handicap through the Golf Association of Philadelphia (GAP). The handicap fee used to be charged separately so in effect our fee has gone down if anything. There are some changes to local rules for this year. A lot of it ties into the USGA rules changes. Website’s been reworked. Certainly its better on mobile than before. Hopefully you find it user friendly too once you get used to the change. Scoring system updates are exciting too, using USGA Tournament Management software. We are still learning about the software. GAP has been fantastic in helping us get up to speed. Expect a few minor changes from 2018 but for the most part we are keeping existing policies. For example, we can replicate the FedEx point system just as it has always been.